There might be a number of reasons for cloning a post or a page on your blog. The most common situation is you have formatted the way your list posts should look. This preconfigured format should be grasped by everyone during the creation of a list post. The formatting of the post or page from scratch would take a long time. The simplest method to solve this difficulty is by creating a standard post or page and uses it as a template. Whenever you need a similar page just clone or duplicate that page, then use this page or post according to your requirements. Each time you want to create content, you don’t need to recreate the post or page structure. You need to keep the design, image and content to be swapped. 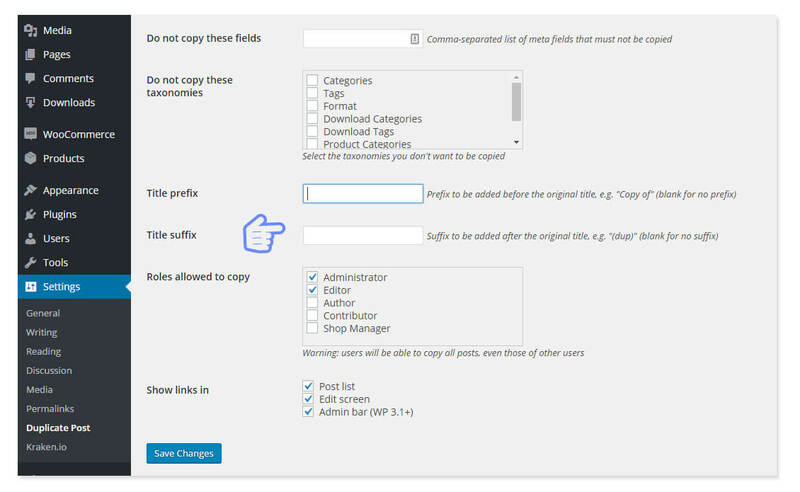 You need to follow certain simple steps to duplicate a post, page or even a custom post type. 2. Now go to Posts -> All Posts and hover over to the post. You’ll see two different option added (Clone & New Draft). 3. Click on “Clone” to duplicate the post. 4. You’ll get your new duplicated post with the same title as a draft. Now edit the content or use it according to your need. For real fundability and to discover which page or post is a clone, you can add a prefix or suffix to the title of the cloned post. Follow these steps to add your desired term before or after the title of the cloned post. 3. Whatever you write in this field will be added before every clone post. 4. Click on “Save Changes” to save the settings.